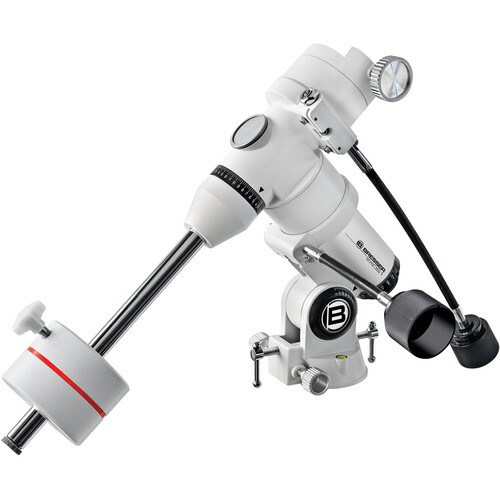 Designed for smaller optical tube assemblies, Bresser's Exos-1 German Equatorial Mount with Tripod combines a manual EQ mount with a sturdy stainless steel tripod to provide users with a stable and reliable observational platform. The mount can hold OTAs and accessories up to 15 pounds, and it features a GP-level dovetail saddle for compatible OTAs, dual-axis slow motion cables to more easily track objects, and an integrated bubble level to assist in set-up. Built into the mount is an access port for an optional polar alignment scope to aid in faster and more precise set up. 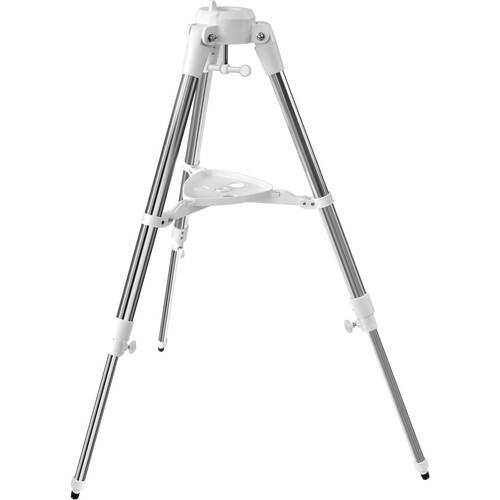 The tripod, a step-up from typical "starter" tripods, is adjustable from 25 to 42" to accommodate a wide range of users. Its 1.5" leg diameter has three sections with large thumbscrews for tool-free adjustment in the field. 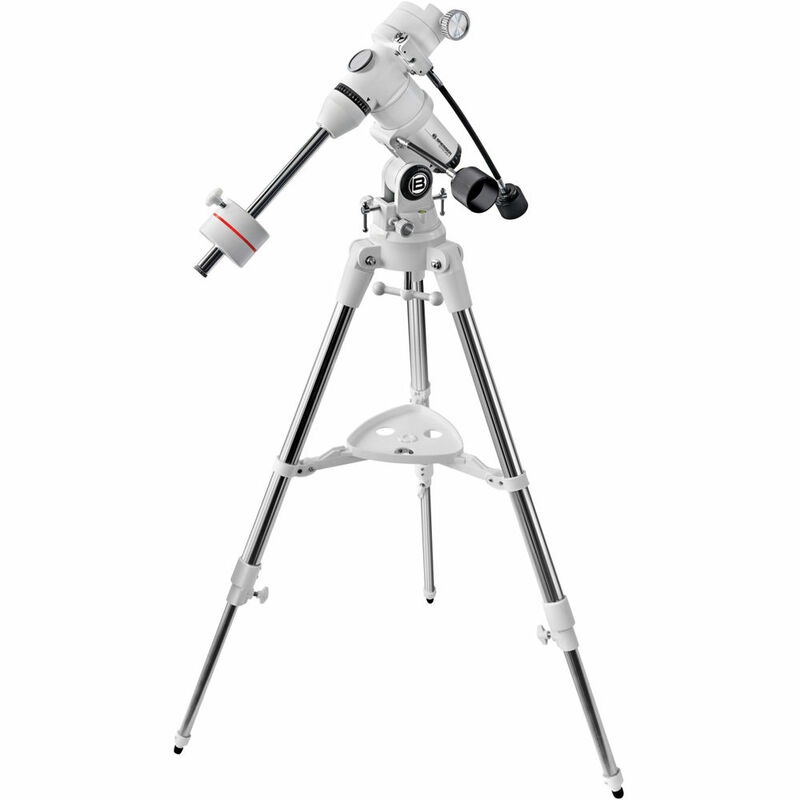 An adjustable plastic tray is also included with the tripod to keep eyepieces, flashlights, and other accessories safe and at the ready.